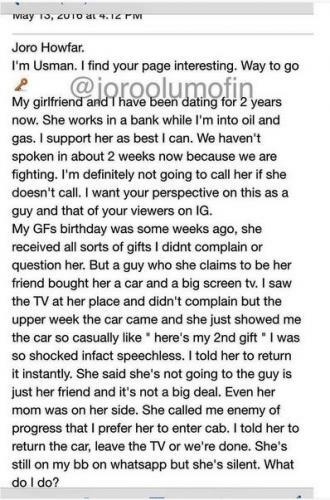 A man who has been dating his girlfriend of two years has revealed how she accepted a car gift from a ‘male friend’ and refused to return on his orders. Is it true that every woman has a price tag? Well, read this post from Joro Olumofin about a man’s predicament before you take a stand.